Our hearts are with those affected by the devastation left by the Oklahoma tornadoes. While this post is focused on building up your own emergency fund, there are certainly victims in Oklahoma who could use help in the wake of this very real emergency. If you feel so inclined, visit the Red Cross website to find out how you can help. We never fully appreciate the phrase “save for a rainy day” until we’ve actually been caught in a downpour. At times in our lives, Murphy’s Law seems to be annoyingly present in our day-to-day existence. Sometimes “when it rains it pours” is true in the worst way possible. The thing is, hard times don’t last forever and eventually the sun shines through and dries you off. But wouldn’t it be nice to have an umbrella during such times? It wouldn’t stop the rain, but it sure would help protect you from the worst of it. And now I’m done with metaphors, I promise. And it’s time to introduce my friend, the Emergency Fund. 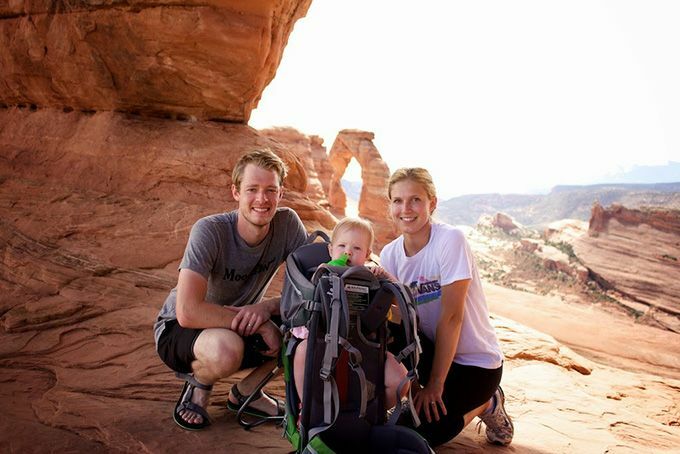 When Johnny and I were paying off our debt, we started with a $1000 emergency fund. And while a thousand dollars is nothing to scoff at, it wouldn’t have done much if we had run into a really serious emergency, such as a job loss or medical emergency. So once we had paid down our debt, it was time to save up three to six months’ worth of expenses in an emergency fund. This is yet another teaching in Dave Ramsey’s The Total Money Makeover. Don’t act too surprised. When it comes to the basics, we’re very loyal to Dave. But Dave’s certainly not the only financial shepherd that preaches this principle. So how do you go about calculating an emergency fund? Will you save up for 3, 4, 5, or 6 months? Our answer: Do what you can. But remember, your emergency fund is not something to skimp on. But if you can only save up for three months, that’s still a whole lot better than $1000 — or $0. Will your calculations be based on losing one income or both incomes? Our answer: It’s up to you, but if you choose the one-income scenario, make sure it’s the higher income. 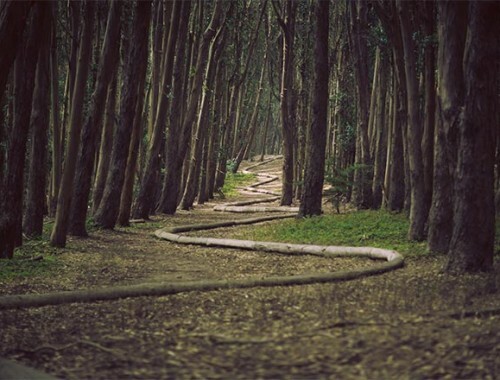 Even if you’re certain that income will never be lost, do it anyway because nothing is certain. Fire and brimstone! Debbie Downer! But seriously, do it. What needs will you include in your calculations? Our answer: You can make it as bare bones as you want, but less isn’t more in this situation. If a financial emergency presents itself and you’re able to move in with family and spend nothing on food or shelter, more power to you. But we suggest planning as if you won’t be getting any help. In other words, calculate how much your life costs each month sans discretionary spending. We chose to save up 6 months’ worth of expenses for our emergency fund. We calculated our expenses as if both of us had lost our jobs. We added up all of our expenses sans discretionary spending. In other words, we included grocery, rent, utilities, etc. What did we leave out? Personal spending, entertainment, church tithing (since 10% of $0 = $0), etc. Based on our calculations, we needed to save up about $2500 for every month of our “emergency.” So we needed about $15,000 for six months. And just to be on the safe side, we added a few extra thousands to that number. No skimping, remember? When we were in the process of slaying the Debt Monster, we never thought we’d be able to save enough for an emergency fund. And for a long time, all we had was that $1000 sitting in a savings account. This isn’t something we were able to do overnight. But we’re glad we have it. As is the case with most personal finance topics, our way is our way, and that means it’s probably not the right way for everyone. So take some time to figure out what will make you feel secure should an emergency arise. And that’s how you get started with a long-term emergency fund. Have you started saving for an emergency fund? 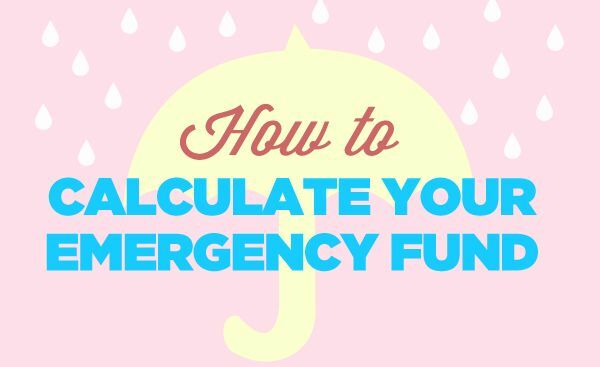 How did you calculate how much to save for your (hopefully always hypothetical) rainy day? We have an emergency fund. We have about 6 months of a reduced budget in it. We use it to cover all sorts of things: medical, job loss, house repairs and so on. I love having an EF because it gives me peace of mind! Agreed, Michelle! Love to hear about others who are a part of the Emergency Fund Club. Emergency fund calculations are something I have given some thought to and am not yet satisfied (sorry Dave!). I think that (unanticipated) job loss, for us right now, is about the least likely “emergency” to come up. Much more likely are health or car or unexpected travel. But I’m not sure how to put a figure on those (beyond the deductible on our health insurance) and they seem completely unrelated to our income. Can you tell we have an underfunded EF? I think EFs are for any kind of emergency, not just job loss. But a way to calculate them so that the amount is sufficient is by using the amount you would need if a job loss occurred. Really, it’s just about having money for a rainy day, which I think is never a bad idea. I just got out of school a couple of years ago, and given the job market (i.e. contract work is about all you can get), an EF is absolutely essential. I’ve been in the situation where I didn’t know if I would have money for rent the next month, and I never want to be there again. So when I finally got employed, I started saving. I’ve got 6 months of a “no fun” budget saved in case of unemployment. If I’m employed, it can also serve to pay unexpected emergencies that aren’t job related. I finally was made permanent in my position (yay!) so I decided to stop contributing to that fund and throw all my money to debt repayment. Once the debt is repaid (or if something else changes and I decide debt repayment can wait a bit longer), I will start contributing again. It feels really good knowing I can live while I do the next round of job searching! That’s awesome that you’ve seen the importance of an EF and done something about it, Heather! I’m glad you have the peace of mind associated with having it now. And congrats on getting a permanent position at your job! I remember when I made that transition with my current job, and it really was an amazing feeling. I am a fan of Dave Ramsey but the husband is not so we usually do a hybrid of both our philosophies to avoid financial disagreements. Once we started paying down debt we had a $1000 short term emergency fund. Husband was all on board for that. We were gazelle intense for awhile. However, we “needed” vehicles so our savings went towards that two different times. We are down to a small amount of student loan debt that could be paid off with savings but currently are keeping it in savings and paying a little extra each month. That being said early on we decided 6 months of expenses based on the assumption neither of us had a job was what we used to calculate emergency fund. Now I stay at home and we have almost 1 year old daughter so numbers have changed a little and we keep a little extra just in case! We use numbers for a basic budget that includes mortgage payment, reduced electric and gas amounts, bare minimum groceries and baby costs, minimum transportation cost, minimum student loan payment(hopefully gone soon! )We came up with very similar amounts as you. We are much more serious about this now because when I was working, I had Avery stable job with virtually no chance of loosing it. As you can see there are some very non Dave philosophies in there! I saw at church last week when looking at the FPU course the average first month progress made is a reduction of debt by $8000! I don’t know if thats just my church’s average or all but that is pretty impressive! I think the way you guys are doing things is just perfect, Halsy! I don’t think any one person’s philosophy is perfect (sorry, Dave). You should tweak things to fit your own family. That’s great you and your husband compromise and balance each other out. And I know what you mean about numbers changing with a baby… we’re much more serious about savings and stability now that we have our little one! I almost have a basic emergency fund ($1000) saved for, however, I always seem to get it saved up and then something happens. (moved out of an unsafe living situation that cost some money to break the lease, large unexpected car repairs, unanticipated school bill). I would love to know what you guys think about when it feels like you can’t move beyond funding the basic emergency fund. Granted I am also saving for unpaid maternity leave and fall tuition so if I didn’t have those large expenses coming up I would be able to put a lot of money into my emergency fund. Great question, Jennifer. For a while Johnny and I only had the basic $1000 emergency fund. That was the case all through our college days and while we paid off our debt. The important thing is to just to have an EF, even if it is $1000. And as to having to use it as soon as you get it saved up, I’m sure that gets frustrating. But that’s what it’s there for! Using it up is a heck of a lot better than not having it at all in the first place. Once you’ve used it up, just start saving again. There will be a time when you can save more. But right now you are doing a great job. Thank you. This is why I love your blog. You two seem to be interested in what your readers have to say as well and you are very encouraging. This is a great overview. My wife and I are currently working on building up our emergency fund to right about the same amount you guys did. Our spending is about the same as yours so we were planning to get to the $15k mark and then call that good enough. I completely agree that an emergency fund is not an area where you want to skimp. You never think an emergency is going to happen until one does and it is during these times that you’re glad you have a good chunk of money saved up. It’s true, Jake. I didn’t want to sound like a Debbie Downer in the post, but hard times happen to everyone at some point, financial or otherwise. Even if you never have to use your emergency fund, you’ve still saved up several thousand dollars, which is a win-win IMO! I have always just winged it. I know with an EF “winging it” is sort of the opposite of the point though so because of this post I just calculated my true expenses. I spend roughly $800 on bills, rent, gas, etc. So I’m extremely fortunate when it comes to my EF because 6 months is only $4,800. However, I do plan on my expenses growing in the next few years so my goal EF is $10,000 or more. So my biggest problem with EF building is doing it over debt elimination. I have always been torn as to which was more important. I guess EF building should take priority because you can always tell your debtor to screw off for a few. I just recently withdrew a little less than half of my EF and paid my loan in full so I would be without any more debt. It took me a while to make that decision because I couldn’t decide if the added stress of debt was worth risking my EF to insufficient funding. Obviously, I chose the easy way out. Well, Dave Ramsey thinks you made the right choice, Chris. He recommends only a $1000 EF until your debt is paid off and then to build from there. I’m kind of torn as well. I think your choice was the right one, though, given that you don’t have a ton of expenses currently. And, as far as I know, you only have to provide for yourself right now, so I think that’s another reason paying off your debt was the right choice. Congrats on being debt free. And pretty jealous of your expense total. Either you’re super savvy with your spending or NM has a low cost of living. I’m guessing a bit of both. I calculated by absolute bare minimum monthly expenses and multiplied that by 9. My worst fear is losing my job, so I’m hoping 9 months (or fewer) is the amount of time I need to find new employment. When B and I get married and merge our finances, I’ll lower that amount. Can’t wait! Muahahahaha. Haha, one of the many perks of marriage! If you save up 9 months’ of expenses, you’ll be very well prepared, Tina! I’m weirdly fascinated with this topic. I’ve seen so many ideas out there for EF vehicles: cash, money market, large credit card limit, home equity line of credit, CDs, Bonds, the list goes on. I think for younger adults who are working to grow their net worth have a hard time watching $10k-20k sit in a savings account earning 0%. You want it to be pretty liquid, but if you really are living on it for up to 6 months, what couldn’t you cash out of within a few days? I’m all for a fat emergency fund, but maybe a hybrid approach could work – $5k totally liquid in savings or checking and then throw the rest into low fee mutual funds or something . Let someone pay you to borrow that hard earned money. Wonderful idea. Never even thought of it that way. Great idea, Danny. Money is getting easier and faster to withdraw these days. We always want to have a decent amount liquid, but it is a lot of money to just have not working for us. The trick would be finding an investment that’s conservative enough that you wouldn’t stand to be at a deficit if you took the money out in an off-month of the markets. Johnny and I will definitely be looking into this. Thanks for sharing! We tend to look at it more from a “possible expenses” than a “possible lost income” perspective. Here’s our worst case scenario – hurricane and storm surge (so both homeowners and flood deductibles get hit!) comes through and devastates our house, the duplex that we own and rent out, and our cars. Deductibles for all of these (hurricane, flood, car) is about $10K if everything is a total loss. If both of our jobs disappeared at the same time, we would need about $4K/month to keep everything “as is”, $1500 of which would be covered by our income insurance on the rental. So it’s really $2.5K that we’d need to come up with. The chances of devastation for EVERYTHING (including jobs) at once are pretty small, but we feel most comfortable when we have $20-$25K available as a just in case. That covers the deductibles and 4-6 months of the remaining expenses after accounting for the rental. It’s probably pretty excessive, but expenses with the rentals can be very lumpy, so it’s nice to have plenty of cash on hand to not have to worry about a lump. I get the “possible expenses” angle. We figure most significant expenses would be covered by insurance (health, auto, life), so that’s why we go the “lost income” route. For now. That’s a pretty serious worst case scenario. But the $20-$25k price tag for six months is substantially lower than I’d expect. That’s got to feel alright knowing that’s the absolute worst thing you might be looking at. I started my e-fund when I was getting out of debt. There was no better feeling than knowing I had backup if something were to happen. Some people don’t believe in emergency funds, but I am an advocate. I’m a worrier, so I’m all about the safe, secure feeling of an EF. We’re saving for a house down payment right now. We have our $1000 emergency fund, but should anything happen within the next one to two years, we could always rely on the house down payment fund to act as our six month emergency fund. We’ve had a tendency over the last few years to use our EF as a hybrid down payment fund. But over the last few months, we’ve made it a point to split that money up and live without thinking that EF cash is available. But you’re right. At the end of the day, should anything happen, any other savings we’ve currently got would become our EF if we ran out of our true, planned EF. Great post, Joanna, and I agree with all your EF ideas. Here’s a slightly different take on things, which we adopted years ago (and which was mentioned briefly in one of the other previous comments). To my way of thinking what I consider to be an emergency fund is a way to access easy $$$ quickly whenever an emergency should arise. And, as you say, the more $$$ available the better. So, in addition to having cash in a (usually low interest) savings account, we also took out a Line of Credit (but not an equity one) for $50,000. The best time to set up an LC with a lending institution is when you aren’t in debt and don’t really need to use one. Fortunately, over the years, we’ve never had to use it and withdraw money from it but we know that, if necessary, we could access it immediately, with no hassle, and at a repayment interest rate that would be much lower than if we had tried to otherwise take out another type of loan. So, with that added “cushion”, we were able to not tie up so much $$$ in a low interest savings account and thus invest the difference in more profitable financial ways. Just a suggestion but It’s worked very well for us. Awesome tip, Rob. I figured our plastic would suffice should our EF dam not contain the expenses, but I’d much rather work with a LC interest rate. Thanks for the suggestion. Here’s my question. What’s the emergency fund FOR? Is it in case of job loss or natural disaster? Do you dip into it if the brakes go on the car or the water heater explodes, or is that covered under separate ‘funds’? The way I worked it out in my head is whatever unforeseen issue would cost you the most money out of pocket. Our health and auto insurance would cover us pretty well in the event of an emergency related to those things. So the next biggest risk is losing our job(s). So we calculated our monthly amount based on that. 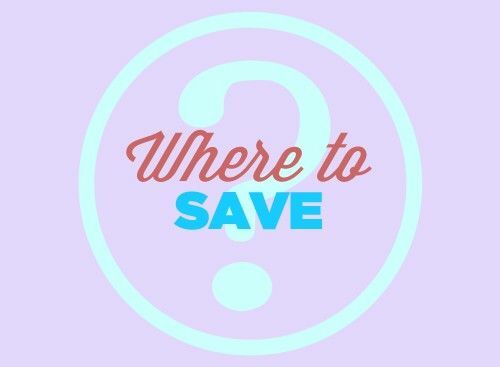 But we also have a little extra in our budget’s Everything Else categories for smaller month-to-month “emergencies” like small repairs and doctor’s visits/prescriptions. We currently have three months worth of emergency fund (we called it security fund) and planning to increase to eight months until next year (or before buying our house). We are preparing for rainy days such as sudden health issues, potential job loss or whatsoever incident. This way we are prepared and have peace of mind that we will be secured for three months no matter what. Eight months is ambitious. I like it. You won’t just be ready for a downpour. You’ll be ready for a flood! We have an emergency fund, but it’s not huge. We have about 1.5 months worth of living expenses saved in our legit emergency fund. However, we have plenty of liquid savings beyond that. It’s so much more fun to save for houses and cars than it is to save for an emergency! I have a hard time caring about contributing to an Emergency fund! This is the case with me KNOWING that my current job will end in <5 months. Oh my. I’m totally with you on it not being very fun. It’s a lot more fun when the goal is something you’ll enjoy getting, not something you’re dreading from happening. But figure out a way to trick yourself into keeping it funded so that you’ll be sitting alright in five months. Great article Johnny and Joanna! I started saving for an emergency fund about two years ago when I first got my “big girl” job (the one which comes with benefits, a salary, etc.). Before that I was in grad school; before grad school I was unemployed. I couldn’t land a job in winter 2009, not even at In-n-Out burgers despite having had a degree. It was a low point in my life. So needless to say after several years of not working & not being budget conscious, I accumulated A LOT of debt. Even though I was in debt, I knew an EF was critical to my sanity and well-being. When I first got a real job, I tackled credit card debt first with my first few paychecks. Two-three months later I was out of CC debt which was expedited by being able to live at home for a year. After tackling credit card debt, I began saving for an EF and tackled my Sallie Mae loan concurrently (was about $10,500). As I was getting close to wiping out the Sallie Mae loan, I read/heard somewhere that the best time to start saving for a new car is immediately after you’ve purchased a car. Don’t know if this has merit but for some reason it resonated with me, perhaps because my car is on its last leg. Hence a new “Future Car Fund” was born where I now contribute a few hundred bucks each month. I have been doing this for about a year with hopes of using this Car Fund to be able to pay for a car in cash or have a sizable down payment. While I’m still really beholden to the debt monster (Dept of Education), I am less stressed knowing that I am building an emergency fund (8-months worth on a bare bones budget). I started a Future House Fund for the way far future. The goal is being disciplined and not using my emergency fund (intended for job loss or medical emergencies at least to me) on a new car. I’m trying to avoid co-mingling of the funds. Congrats on making headway on your Debt Monster slaying! And congrats on setting up all those different funds. All of them are important and will make any of those major financial hits easier to swallow. Thanks so much for sharing, Char! Love reading comments like this. 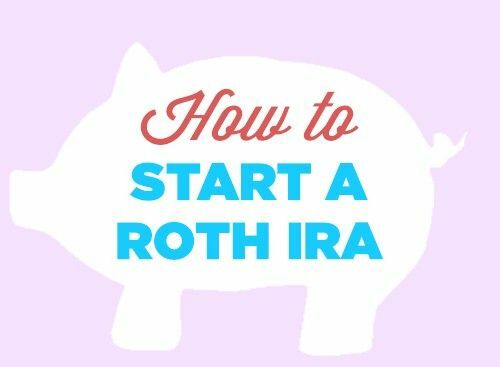 I’m coming late to this discussion, but my thoughts are to have a few months ef in savings, then contribute up to the max allowable into a Roth IRA every year, which can double as retirement saving and emergency fund since the principle paid (not interest earned) can be withdrawn without penalty. Awesome tip. This is actually the model we will be moving toward in the near future. Thanks for sharing.